In 2012, the IQA Summer Games took place in London as an Olympic expo tournament. The original Team USA that competed was mainly chosen by a committee composed of IQA regional directors, and although the task of selecting players was taller than it is today, as not much film existed, there were some pretty big question marks among those selected. Two years later, the freshly-minted Global Games took the Summer Games’ spot as the global talent showcase for quidditch. This time, the selection committee for Team USA was made up of one representative from each region, as elected by captains of that region. This team was chosen from qualified candidates who had shown experience in analyzing quidditch players, and the committee selected, with of course some minor controversies, was generally regarded as fair and sensibly chosen. This summer, the tournament will return with yet another new name—World Cup—and yet another new Team USA selection process from USQ. After assumedly assessing the processes from the first two years, USQ settled on a 10-person committee that includes four regional coordinators—formerly known as regional directors—and only three community members chosen specifically for their analytical prowess. The committee will include the two individuals selected to lead Team USA as coaches, which will round out the team, making it about half analytics and scouting experts. But that is nowhere near an acceptable percentage. A couple of important disclaimers before I continue. First of all, I deeply respect the position of regional coordinator. Regional coordinators have had massive effects on our sport throughout the years, some have gone on to be some of its most important contributors, and I call many past and present regional coordinators close friends. My arguments will be about the position itself’s place in Team USA selection, not about the people who hold it. Secondly, I was part of the 2014 Team USA selection committee. I, personally, think we did a very good job and that the community at large felt the same, but, regardless, I want to make my potential biases clear from the start. So what is a regional coordinator? Working in the USQ Membership Department under Katie Stack, these individuals are largely responsible for advocating for their respective regions. They talk to their constituents, present any concerns raised to USQ and help to facilitate the communication of league policies. Some also involve themselves in event planning for their regions, though they have no authority in the planning of their region’s championship. Finally, they are in charge of expansion and contacting and aiding new and up-and-coming teams. Obviously, none of these things have anything to do with analyzing quidditch players. So how exactly did people with that job description become 40 percent of the selection committee? Well, the simplest answer is that Stack was a strong proponent of a heavy regional coordinator—and thus USQ Membership Department—component of the committee, and pushed for an initial proposal of eight regional coordinators, two community members, two gameplay department members and the two coaches. Sections of the USQ Events Department, including gameplay, pushed for a reduction both in total numbers and regional coordinator influence. To some degree, gameplay succeeded, though the final proposal is still a long way from ideal. As for the regional coordinators themselves, they were never truly consulted on the matter, though they had multiple issues that they planned to bring up. Unfortunately, they would not have the opportunity, as the announcement was expedited a day in what could be deemed a knee-jerk reaction to the IQA announcement. Ironically, the one time USQ attempted to act quickly, they managed a plan fraught with issues, one that likely would have been cleaned up in just one or two more meetings. So how was a plan opposed by both gameplay and membership itself pushed through? Essentially, it comes down to what seems to be a recent outlook from USQ that all volunteers are created equally. This plays out often in referee assignments, where USQ insists time and again that all certified referees are created equally, a concept with which referees themselves disagree. It also plays out in this very process, with the planned procedure for choosing the four regional coordinators—if more than four are interested—simply being choosing them out of a hat, as opposed to actually choosing the best for the job. What does this mean for selection? Well, it means that we are taking volunteers with massive time commitments and skill sets built for another position and giving them more time commitments in something they don’t specialize in, didn’t ask to do and didn’t have the chance with which to disagree. We are taking a square block that was happily and effectively passing through a square hole day in and day out and trying to smash it through a circular one, despite its objections. Even after we watched a bunch of circular blocks do the job just fine two years ago. At the heart of the problem seems to be the very concept of volunteer chains within USQ. Over the past year, the organization has closed ranks, ordering every sub-department under the direct control of either Stack or Sarah Woolsey. People who had done important jobs well for years without organizational oversight were suddenly being over-regulated, and it has led to heavy burnout with a low acquisition rate. 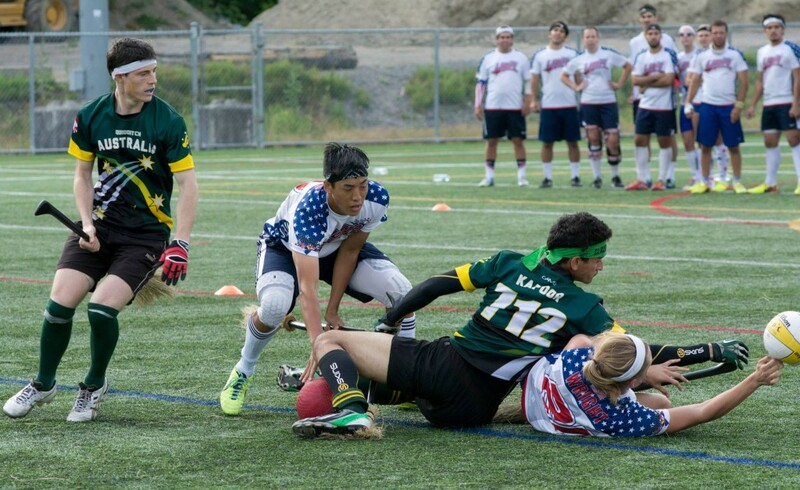 Regional coordinators are choosing Team USA largely because the volunteer pool has shrunk significantly, and USQ is scared to branch outside of it. The silver lining on the process is that team selection should not be difficult this year, provided the committee doesn’t make it so. With regional requirements down to one and team requirements eliminated, there is a lot of freedom to put the best players available on the team. The distinctions for who those players are at this point are incredibly—or at least seemingly—clear. If the committee doesn’t get too cute and listens to those brought on with a background in player analysis, they should be okay. That said, USQ put another boulder in the committee’s way by forcing an incredibly early deadline for deciding the team, one that was apparently even earlier at first and, thankfully, pushed back. With nearly half our league playing most of its season in the spring semester, asking for video submission deadlines right at the end of spring regional championships is a tall order. Key figures battling injuries, such as Chris Seto and Stevie Bell, will be difficult to assess as early in the year as these decisions have to be made. Newer players with huge potential just starting to make a name for themselves around the time of regional championships might go overlooked or might realize too late that they had the resume to apply. And all of this seems to be in the name of added fundraising time, despite a long history of quidditch fundraising doing best in small spurts as opposed to long, drawn-out campaigns. Is Team USA still going to go undefeated at the IQA World Cup? Of course. But whether the 21 most deserving players will comprise Team USA remains to be seen and forces us to call into question, yet again, just how decisions are made within our national organization.